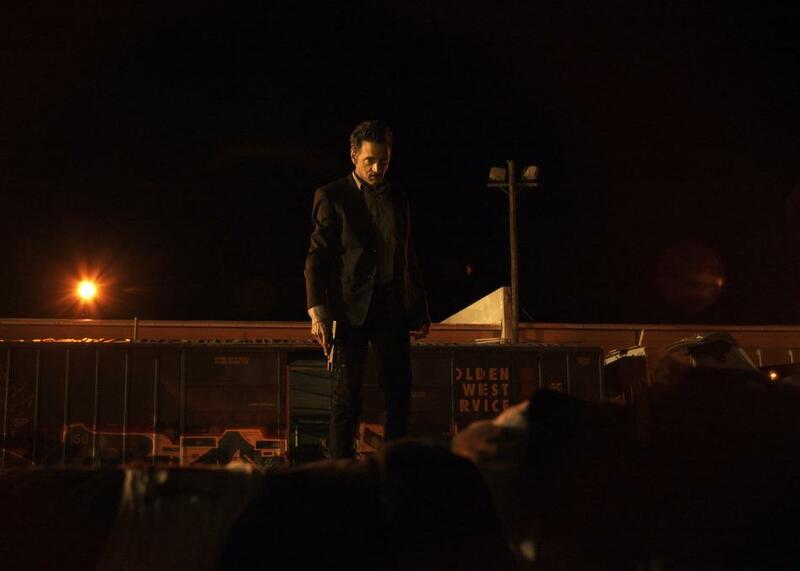 When you get to the bare bones of it, Small Town Crime is a twisted redemption story. 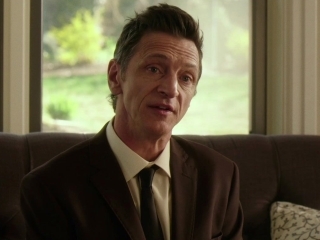 Mike Kendall (John Hawkes) is a former cop whose alcoholism was the catalyst for him being removed from the force. Mike was involved in a traffic stop gone horribly wrong that left multiple people shot and dead, including his partner. Mike was drunk on the job during this incident, leaving him disgraced and ostracized from of all his former colleagues – who blame him for what happened to his partner. Mike’s life has spiraled further out of control since being let go from the force. He is living off of unemployment benefits and is only going to job interviews to meet the requirements for his benefits to continue. He spends the rest of his time at local bars and drinking at his own house or with his sister Kelly Banks, (Octavia Spencer) and her husband Teddy (Anthony Anderson). Kelly and Teddy are concerned about the path Mike is heading down, but there seems to be no reasoning with him. One fateful evening Mike goes on a drunken bender. He ends up driving his car all around town and when he wakes up, he finds himself in the middle of a field. As he is driving back into town he notices the body of a woman on the side of the road. He immediately puts her in his car and takes her to the hospital, where she dies shortly after. Mike decides to take it upon himself to find out who did this to her, and hopes that solving this case will be what he needs to show his former coworkers and the police department that he is deserving of his job back. Mike doesn’t realize that investigating this murder will lead him down a rabbit hole that will not only put his life in danger, but the lives of those close to him as well. Small Town Crime is another collaboration between Ian and Eshom Nelms who both wrote and directed the film. The film tries to keep the audience engaged by throwing in a couple of twists and turns, but all of them seemingly fall short. The film becomes a convoluted and jumbled mess that is full of seedy characters, most of which you never feel any real connection with. Ian and Eshom are trying to set up a noir–style detective drama, but Small Town Crime never truly seems to find its direction, just like the main character, the film seems to flounder while heading towards an unfulfilling climax. Throughout the film it is interesting to watch Mike manipulate every situation to his benefit. He knows how to play the system and everyone around him, and he uses these skills through the entirety of the film. Small Town Crime leaves a lot to be desired and there is a noticeable lack of energy throughout the movie. Couple that with no truly memorable scenes that stand out in any way and it’s safe to say that you can avoid this film for now, maybe catch it later on down your Netflix queue when you have a couple hours to kill one evening.